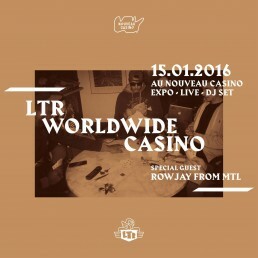 In early 2014, I met Jwles, Ko and Paul – the founders of LTR Worldwide – after following some friends to a house party in Saint Denis (North of Paris). 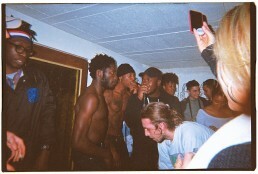 I didn’t know it yet but I was stepping in the “5” aka LTR Worldwide’s original headquarters for the first time. Somehow, I felt at home at the “5” and immediately got along with Jwles so I started spending a lot of time in Saint Denis. Attracted by the fact that everyone in the house was involved with an artistic practice, I saw an opportunity to grow in a creative environment and use the skills I was earning from school. That’s how I joined the crew and brought my contribution to start organizing things. 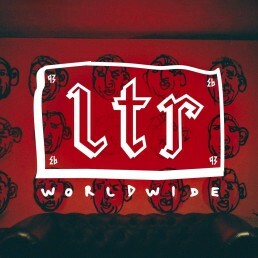 By the end of 2014, LTR Worldwide went from a group of friends having fun to a collective of young artists stemming from different backgrounds combining music, fine arts, photography, videography, tattoo artistry, and graphic/editorial design. All these talents coming together have resulted in the production of a plethora of rich and innovative multidisciplinary events as well as plenty collaborative musical productions. This was a pivotal experience for me because I’ve got to meet & work with some incredibly talented people and the DIY approach has definitely given me the confidence to work for a professional organization. Hi and welcome to my blog. I’ve created IAMDAPLUG to showcase the way music and other arts lead me to connect with like-minded individuals on a daily basis. Here (amongst other things) you can check my photography, listen to my playlists and mixes and enjoy conversations that I have with friends who share the same passion for the culture that we do.